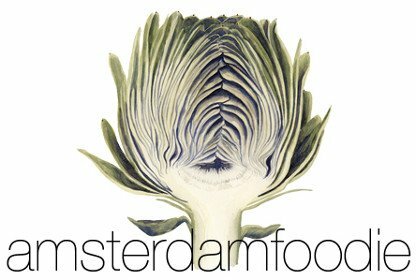 The silent partner behind the Amsterdam Foodie website is my brother – programmer by day, foodie by night. You never hear from him on here, but he actually built the whole site. He also accidentally named my entire brand by buying me the URL amsterdamfoodie.nl as a Christmas present in 2006. And why is any of this relevant to Valencia? Well, he moved there – and I went to visit him. 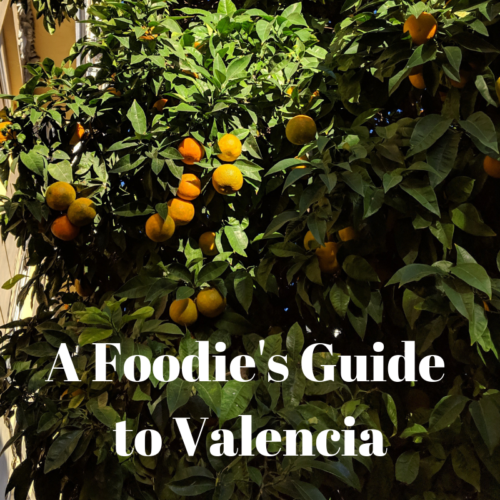 Not surprisingly, then, he gave me the foodie guided tour of one of Spain’s sunniest cities – tapas, paella, horchata and more… And that’s why I’m able to bring you my Foodie’s Guide to Valencia Restaurants. On my first evening in Valencia, we went to La Mirona in the Gran Via neighbourhood for tapas. Despite the fact that it was 9.30 at night because I’d come straight from the airport, we were still the first people there. When you come from a country where most of the population eats their dinner at 6 o’clock sharp, this is quite the culture shock! Still, late-night indigestion aside, the tapas at La Mirona is good – I particularly liked their pulpo (octopus) stewed in beer with potatoes, and their bacalao (salt cod) tempura. But you should definitely try their patatas bravas – if only for the black garlic mayo it comes with. For more information, visit La Mirona’s website. While many versions of paella are made with various seafood, Valencia’s version is made with meat: chicken and rabbit, to be precise. This seems a little unintuitive given that Valencia is right by the sea, but since the city is reputed to be the birthplace of paella I’m not going to argue. That being said, we did cycle to the Cabanyal neighbourhood by the coast to eat ours: La Pepica is one of these large, seaside-y places whose décor doesn’t look like it’s changed much since the ’80s and whose clientele have clearly been coming here for decades as well. 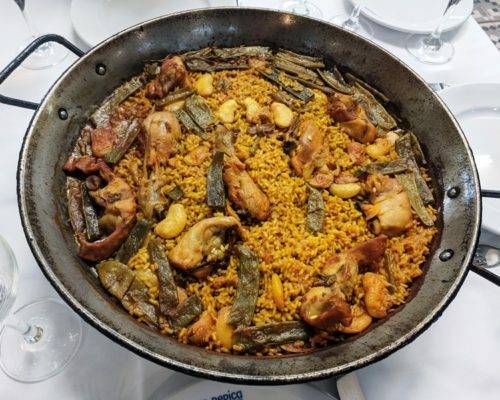 Their Paella Valenciana is a specialty, and comes according to the traditional recipe with garrofó (a large variety of butter bean), their green bean counterparts (like runner beans but larger), and plenty of aromatic rosemary and saffron. Valencia – home of paella! At La Pepica we also tried a dish known as esgarraet: fine ribbons of roasted red pepper and cured bacalao dressed in olive oil – in our case served with slices of smoked tuna. I’d definitely get it again, with some crusty bread to mop up the juices. For more information, visit La Pepica’s website. While you’re in Cabanyal by the coast, it’s definitely worth popping into cultural centre and hipster hangout La Fábrica de Hielo (literally translating as the ice factory). 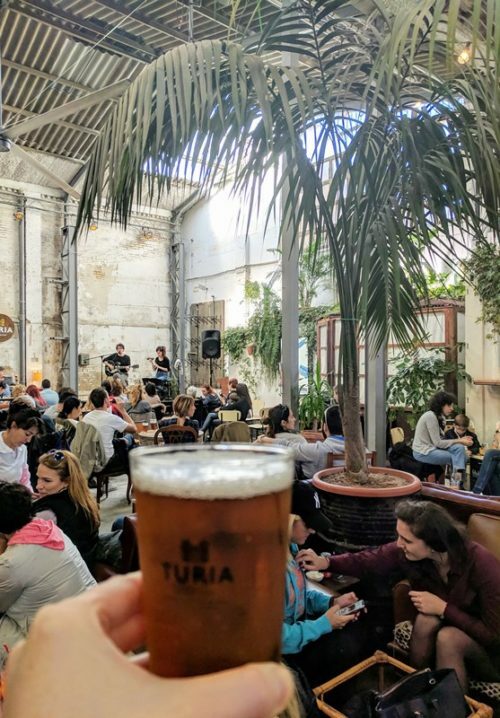 When I was there, the beer taps were flowing (with local beer Turia, among others), there was various street food on offer, and all this was accompanied by live music from a talented local duo singing and strumming. For more information, visit La Fábrica de Hielo. A few days before I arrived in Valencia, chef Ricard Camarena won a second Michelin star at his eponymous restaurant. 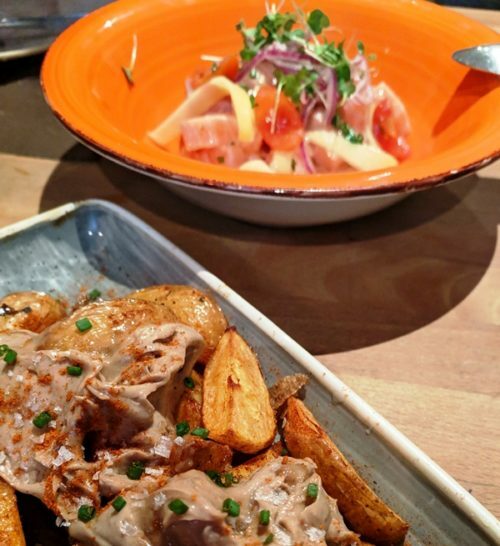 But for those of us who don’t have the funds to splash on Michelin-starred dining, Camarena also has a couple of more affordable restaurants in the city – including Canalla Bistro in the trendy Russafa neighbourhood. Think international fusion tapas that isn’t afraid of bold, spicy flavours. 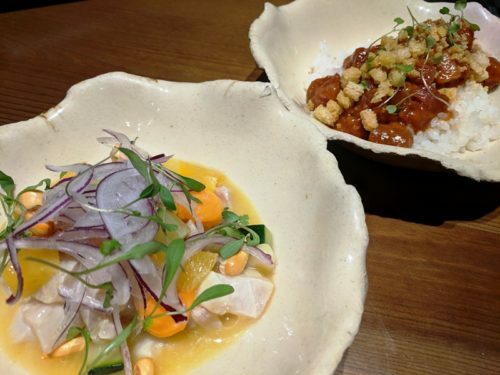 I particularly loved the Peruvian-style seabass ceviche and the Asian-style tuna tartar, but literally everything we ordered was delicious – including the veggie dishes like spicy aubergine and vegetable tempura. Despite Camarena’s culinary caché, dinner at his bistro was extremely affordable (especially by Amsterdam standards) – four of us ate for only €125. For more information, visit Ricard Camarena’s website or Canalla Bistro’s website. For more information, visit Mercado Central’s website. Just outside the main entrance to Mercado Central you’ll find a typical Valencian stand selling a drink called horchata (or orxata, in Valencian dialect). 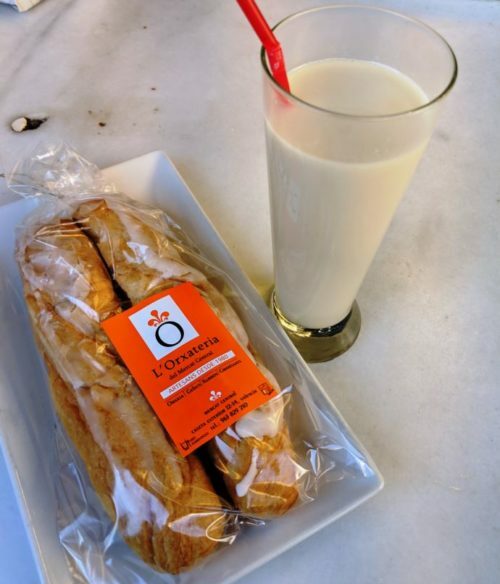 It tastes a little like sweetened almond milk, and it’s made by burning and grinding chufa beans (more mysterious beans – the Valencians seem to love ‘em). 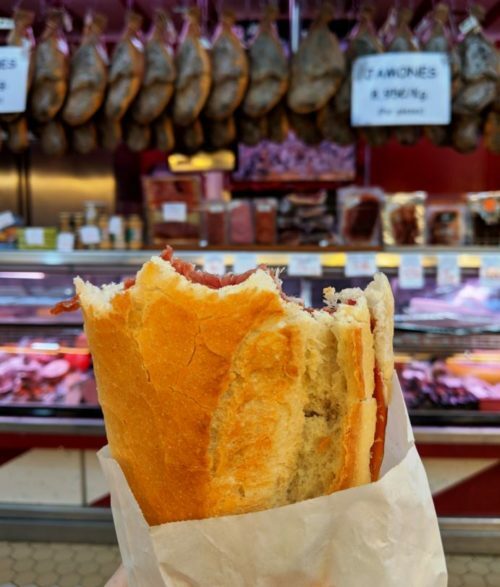 The drink is traditionally served chilled with fartons – much like iced buns – and you can get them from L’Orxateria as a pick-me-up between sightseeing in the historic centre. In Valencia’s central El Carmen neighbourhood, picture-perfect Roman and Gothic buildings nuzzle up against colourful street art and sunny terraces. But one of the more traditional bars in the area is La Pilareta, where the mussel shells are still thrown into crates in front of the bar as the staff have done for decades. Better than the mussels, however, were the montaditos: halved, toasted bread rolls topped with grated tomato plus other variations. 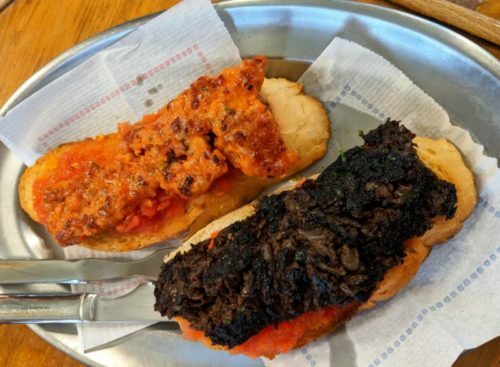 We tried the morcilla (blood sausage) and the chorizo, which tasted a lot better than they look in this picture! For more information, visit La Pilareta’s website.